Why following up continues to challenge exhibitors. Following up after a trade show is half of the equation for ensuring proper ROI. Unfortunately, many exhibitors fail continue the conversation. Nearly 90% of attendee’s at a trade show will not receive follow up communication from each exhibitor on the show floor. Outside of the special 10%, exhibitors are missing critical business prospects simply from not reaching out. With statistics only showing a 12-24 hour window for best response, exhibitors must act fast to ensure quality results. Below we break down the major milestones post trade show so your never left guessing. Click here to download the full timeline. Show hours are a brand’s time to shine. During the show make sure to provide adequate contact information. Some companies may also schedule new customer appointments on the spot. While the madness of showtime comes to an end after hours, the real work has only begun! 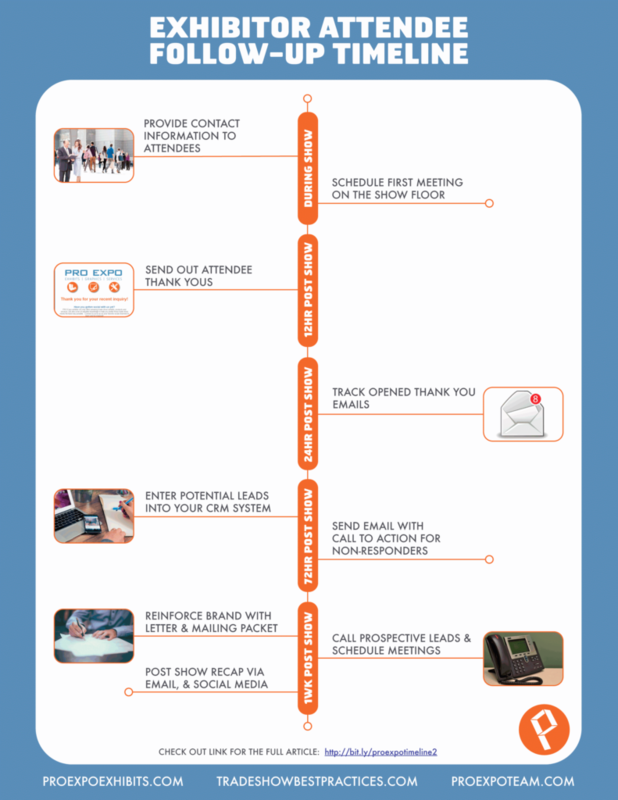 Within twelve hours you should send out personal thank you emails to all attendees. After 12-18 hours has passed, begin tracking your opened emails and leverage that information to plan accordingly. Use email responses or opened emails to enter attendees’ information to a CRM system- Those who have given no response should be given an additional call to action no later than 72 hours. While this may seem aggressive, it’s critical to build a relationship when the brand is fresh in their mind. As you continue to nurture new found relationships, the communication should reflect advancement. Send out a personal letter and information packet to further personalize the offering- We’re talking physical mail! Finally, anyone who has not been contacted directly should be given a personal phone call to schedule a meeting. In addition, your post-show recap should be made available online and promoted through social media. This will help future leads while promoting the brand. Spending high dollars on a trade show exhibit without earning ROI is a waste. Exhibitors should be mindful of what they want to accomplish while understanding there is no free lunch. 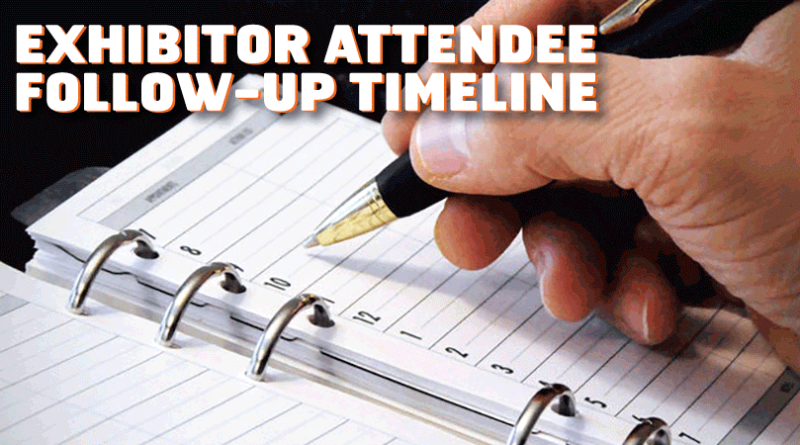 Any brand can have trade show success by following up. These simple steps will allow the greatest chance for trade show success long after the hall closes.